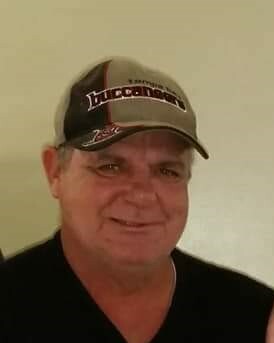 RAYMOND J. DAVIS, 59, of Wayne, W.Va., loving husband and soulmate of Letha Spence Davis, passed away Saturday, March 23, 2019 at his residence. Born July 6, 1959, a son of the late Argy and Lula Davis, he was a laborer for Union Local 543. Raymond was truly devoted to his job and enjoyed working with his fellow laborers. Also preceding him in death are three brothers Tommy, Leslie, and Jimmy Davis, and one son Tommy Davis. Left to mourn his death are two sons R.J. Davis of Florida, and Benjamin Davis of Springfield, OH; three daughters Christina Davis of Florida, Brandy Davis of Kenova, WV, and Christina (Jeff) Vance of Catlettsburg, KY; three sisters Carol Davis, Essive (Randy) Vaughn, and Delsie Barret, all of Wayne; one brother Charlie Davis, also of Wayne; three stepchildren Sherri Mills, Kermit Mills III, and Garrett Mills all of Wayne, WV; five grandchildren Sebastian and Emilie Vance, Kyla and Kayden Gibbs, and Joshua Ferguson; two very special great grandchildren Izabella Ferguson and J.T. McCoy; very special friend Tim Mills; and a host of nieces, nephews and friends. Funeral services will be held 2 p.m. Wednesday, March 27, 2019 at Johnson Tiller Funeral Home with Pastor Otis Bowens officiating. Burial will follow in Community Memorial Gardens. Friends may call two hours prior to the service on Wednesday.